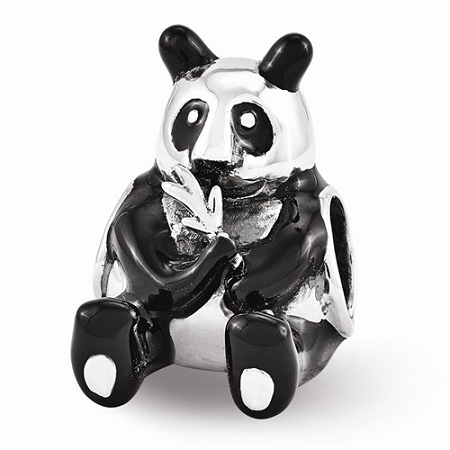 Sterling Silver Reflections Black Enamel Mama Panda Bead: Black and white bead has diameter of 4 mm. In length 12.73 mm and width 9.09 mm black enameled panda shaped bead is very attractive. It has purity of 925.